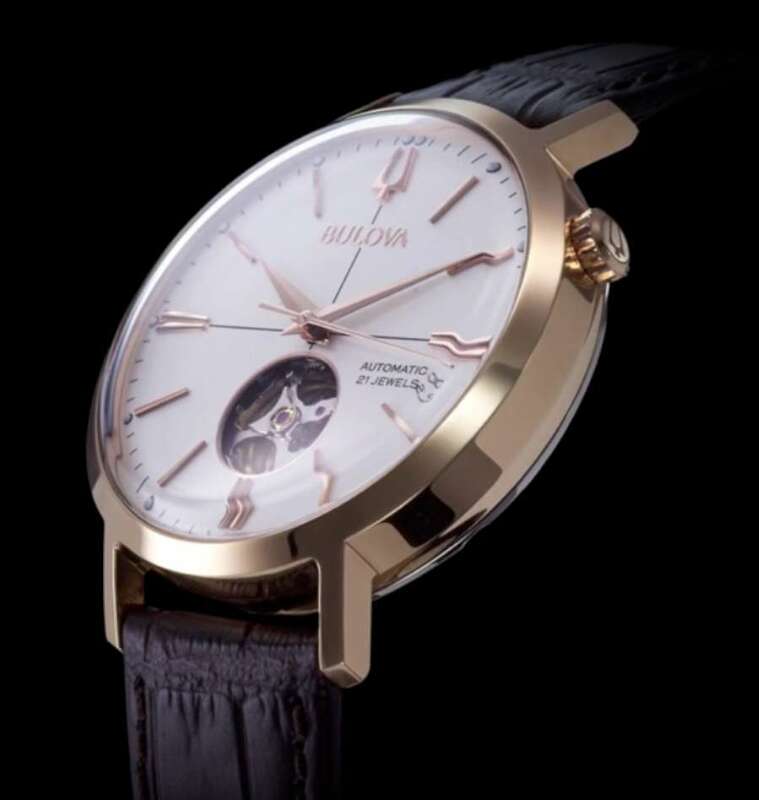 The Bulova Aerojet 98A187 was recently advertised with a full-page ad in an Italian newspaper, with the price displayed as €279. It shows that price is no longer a massive problem for people looking for an automatic watch: it’s affordable for most, and from a big brand. The new Aerojet 98A187 is based on a vintage Bulova design, a very attractive automatic dress watch dating to about 1966. The new version is 41 mm in diameter, 12 mm thick, with a 3 atm/30 metre water resistance (resistant to rain and occasional splashes but nothing more). The steel case has a rose gold finish, matching the hands, hour markers and crown. Curiously there are SuperLuminova dots outside each hour marker, but the hands have no lume at all. The mineral glass watchglass is domed and profiled at the edge. The watch has a black leather strap with alligator print motif and a steel pin buckle. An unusual feature is the crown at 2 o’clock. The circular window on the dial reveals the balance wheel. 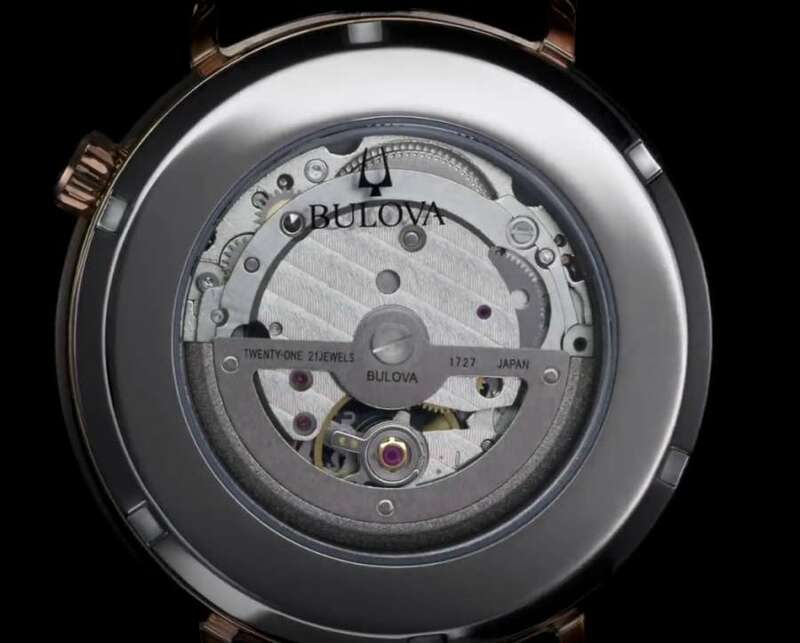 A lot of Bulova’s automatics have this feature, opening up part of the dial to show a section of the movement. Personally I am not a great fan of “open-heart” watches, they always remind me of kids who tear their jeans so that you get glimpses of their legs. I guess I’m just old-fashioned, but for me it would be enough to see the second hand gliding smoothly around the dial, and to be able to see the movement through the caseback. In my opinion the dial would have been nicer in its classical, vintage, dress watch format. 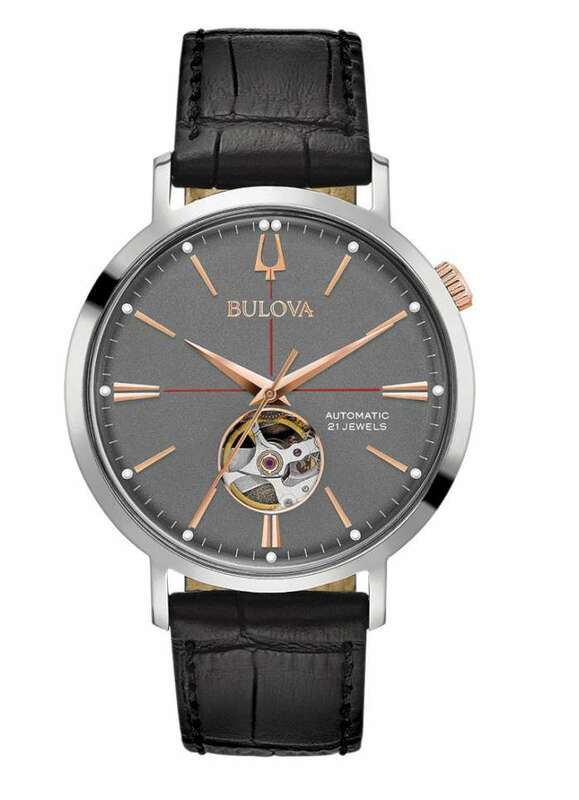 But without doubt Bulova know their market and so the open-heart dial obviously has a lot of fans. 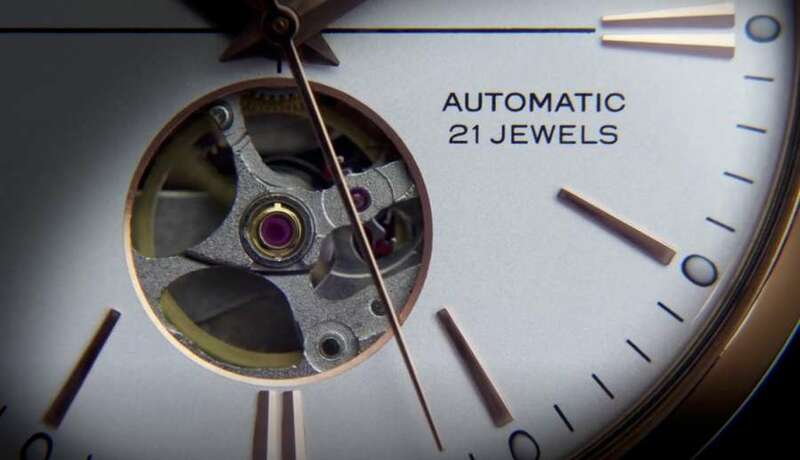 The Japanese-made Miyota movement has 21 jewels, and so presumably it is the 8215, which runs at 3 Hertz (21,600 vibrations per hour) and provides a power reserve of 40 hours. Its accuracy is rated at -20/+40 seconds per day maximum deviation. More information from the Bulova website.